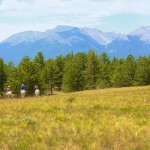 At Elk Mountain, you have the opportunity to spend time outdoors, enjoying the beauty of Colorado, with breathtaking views of the Collegiate Peaks, whether on a trail ride or hiking in the San Isabel National Forest. Time moves differently here. You can take the time for some R&R, read a good book, enjoy the hot tub, play a board game or spend the day at the hot springs. There are simple pleasures in activities that we may have forgotten about in our busy day to day lives. Take a moment for yourself, breathe and take it all in. The ranch is a little oasis in the middle of the beautiful state of Colorado. At 11 p.m. the generator turns off, and all of a sudden it is quiet and dark. Take a moment to look up at the millions of stars above you and find the Milky Way. Depending on where you live, you may never have an opportunity quite like this to view such a spectacular sky, where it is actually harder to pick out the constellations because there are so many more stars in sight. This place is a change from your everyday life, which is what makes it so special. Embrace this break from reality and enjoy all it has to offer. The remote nature of Elk Mountain gives you an excuse to disconnect from the world, leaving email and the internet behind (there is connectivity but it is limited). This gives you an opportunity to focus on those around you and engage in great conversations at dinner, around the campfire, or out on the trail. There is something special that happens over a week – many different bonds are created. You find a connection with your horse, learning their personality and how you can work together. 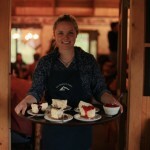 The intimate nature of the ranch allows you to get to know your fellow guests and you learn more about the staff. The experience is similar to the intense bonds created when you were a child a summer camp. 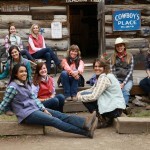 There is an EMR alumni network of sorts – friends of the ranch who have shared a special week with us and can relate to the amazing experience. It is like one big family that extends beyond Buena Vista. 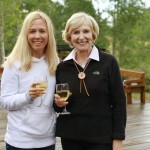 The atmosphere at the ranch allows you to reconnect with your family members and friends. It also gives you time to have moments to yourself and take in your surroundings. Conversations can start during happy hour and continue all the way through a campfire after dessert. Seeing your family in a new setting also shakes things up a bit and gives you new ways to connect. If trail rides are not adventurous enough, you also have the opportunity to go whitewater rafting on the Arkansas River, or test your skills on an adventure course. Rafting is great fun as you make your way through Browns Canyon – be sure to keep an eye out for local wildlife as you paddle by! The adventure course allows you to challenge yourself, tackling new heights, overcoming obstacles and possibly even unleashing your competitive side. Maybe you have always wanted to ride a horse, or try your hand at shooting a .22 or take aim at clay pigeons? Are you an adventurous eater and want to try some Rocky Mountain Oysters? This is your opportunity to try something new, or even check off an item on your bucket list. You are in the Wild West – challenge yourself and get out of your comfort zone. You will never go hungry at EMR – I promise. Between the hearty breakfasts, on the trail lunches, happy hour appetizers and filling dinners, there is something for everyone’s palate. We take food as seriously as we do our horses, and make accommodations for those with special dietary needs. We also want to help you celebrate any major occasion, whether a milestone birthday, anniversary or a big family reunion. Our surroundings may be more rustic, but the menu is nothing but top notch – and always save room for dessert! The passion that the Murphys have for their horses and for the ranch is clear from the first moment you interact with them. 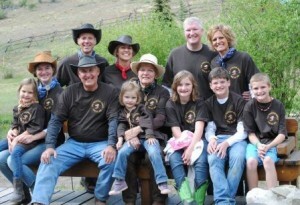 Tom and Sue first met at the ranch in 1985 as wranglers, and the attention they pay to their herd is evident. Safety is always important, and even the housekeeping staff attends Horse Orientation to learn how to properly interact with the horses on and off the trail. The horses are well taken care of and are happy and eager to do their work. Each rider is matched with the right horse based on their personality, experience, comfort level and the type of riding they would like to do during the week. This process ensures that you have the best experience possible. Also, each horse has a great story, so take a moment to talk with Tom or one of the wranglers to learn more about your horse’s biography. All of these factors help make for an amazing week and give you memories that last a lifetime. It could be quiet time spent with your spouse while your kids are busy panning for gold or hunting for arrow heads. It could be the wonder of watching a herd of antelope go by while you are on horseback. Maybe you have a laugh while square dancing, or are touched by the music by Carin Mari. Or it could be toasting champagne at the top of a plateau while eating brunch and looking out at Mt. Princeton and the surrounding 14ers. By the end of the week, you will have new memories that will last long after the dirt is off of your cowboy boots. Top50ranches.com announces Elk Mountain Ranch as esteemed Award Winner in their Inaugural Ranch Vacation Awards of Excellence, 2015! 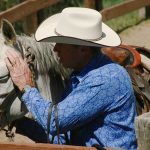 The Top50ranches.com Ranch Vacation Awards of Excellence ~ 2015 were chosen from hundreds of online reviews written for the traveller, by the traveller and feature 10 categories; each category has been divided into a number of awards to celebrate everything the discerning guest, family or traveller requires for their perfect ranch vacation. 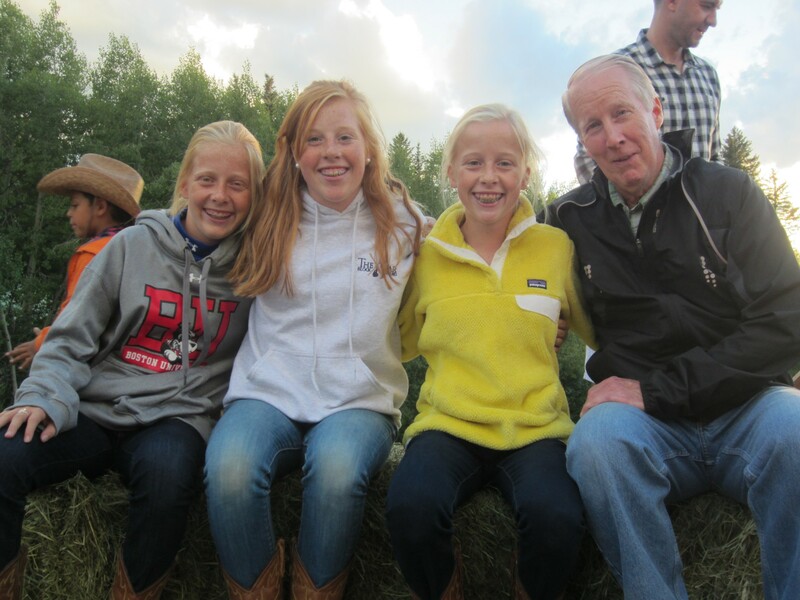 As winner of the ‘Best All-Round Activities For The Entire Family Award’ in the ‘Family Friendly’ category, Elk Mountain Ranch has left guests feeling that there was the most exciting and widest range of activities available on a dude ranch. Designed to celebrate all aspects of a dude, guest or working ranch vacation, the Top50ranches.com Ranch Vacation Awards of Excellence recognize ranches’ ability to deliver to their guests’ exceptional service, stunning locations and accommodations, outstanding food and wine, and life-changing experiences amongst other attributes. 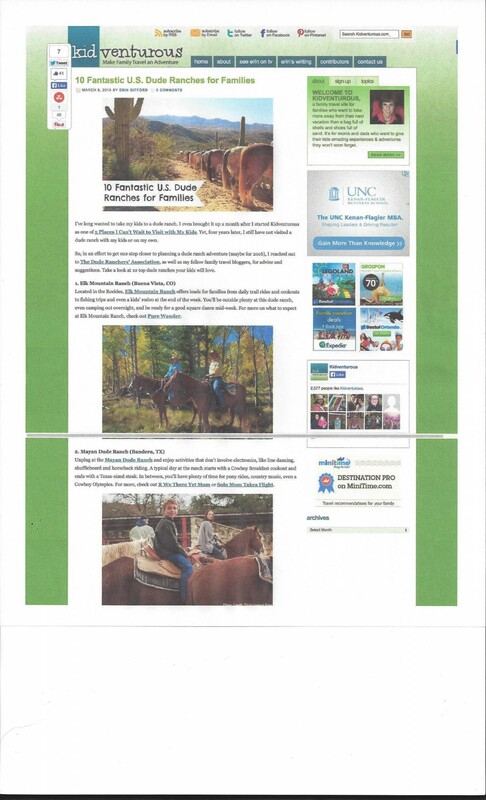 Posted in Elk Mountain Ranch News, Reviews & Accolades | Comments Off on Top50ranches.com announces Elk Mountain Ranch as esteemed Award Winner in their Inaugural Ranch Vacation Awards of Excellence, 2015! 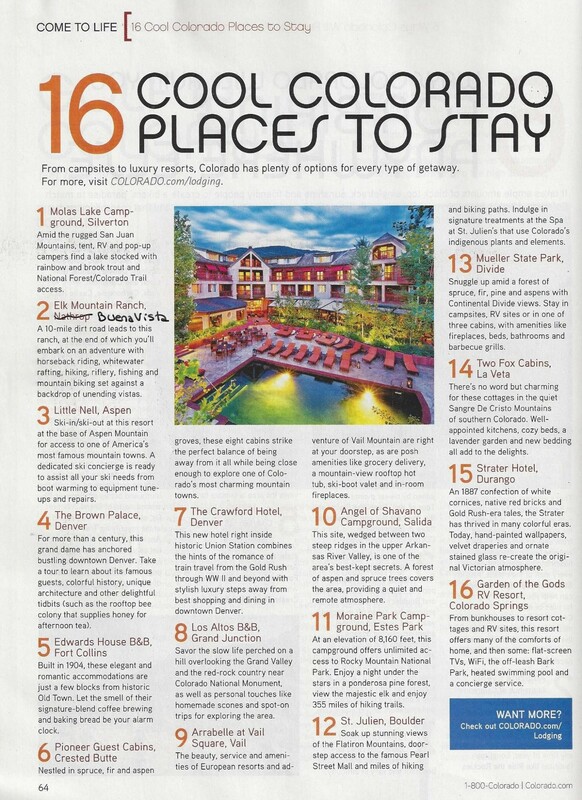 Elk Mountain Ranch is No 2! Thank you Colorado Vacation Guide. There are plenty of options for every type of getaway. Colorado is truly an amazing place for a vacation of a lifetime. Join us for week-long package full of adventure. A 10-mile dirt road leads to the ranch – get away from the crowds. Capacity of 35 guests – intimate atmosphere. 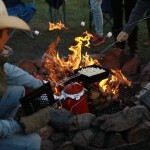 Best activities that Colorado has to offer – horseback riding, white water rafting, trapshooting, marksmanship, hayride & campfire, evening entertainment, fishing, hiking, mountain biking, children’s program and much more. Topping the list is Elk Mountain Ranch! Bring your family for a vacation of a lifetime. Horseback riding, whitewater rafting, shooting sports, fishing, hiking, mountain biking, petting zoo, children’s program for the Little Buckaroos. A week of adventure. So what are you waiting for? 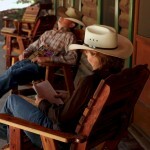 Come to Elk Mountain Ranch and experience the dude ranch vacation of a lifetime! 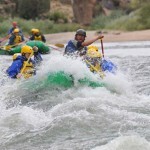 Posted in Reviews & Accolades | Comments Off on An All-Inclusive Colorado Vacation!